Today is National Banana Split Day in the US. I don’t normally celebrate these semi-fake food holidays, but this one seems more worthy than most because it celebrates the actual creation of the dish, and the history is fairly well documented, although murky in places. 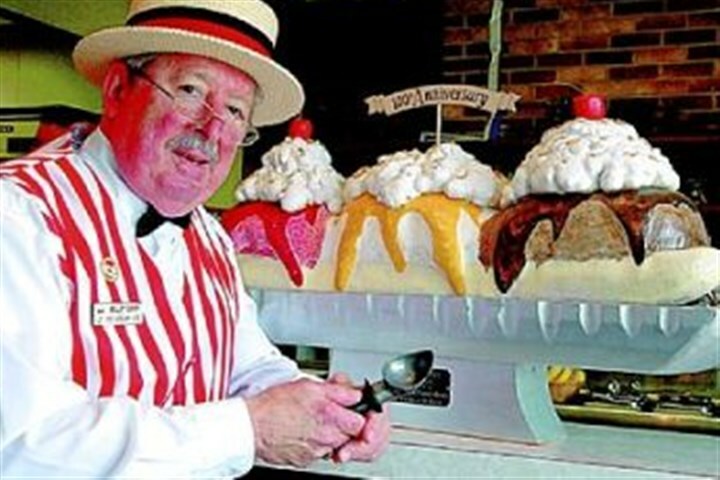 The generally accepted account is that David Evans Strickler, a 23-year-old apprentice pharmacist at Tassel Pharmacy, located at 805 Ligonier Street in Latrobe, Pennsylvania, who enjoyed inventing sundaes at the store’s soda fountain, invented the banana split in 1904. The sundae originally cost 10 cents, twice the price of other sundaes, but caught on with students of nearby Saint Vincent College. News of the new variety of sundae quickly spread by word-of-mouth and through correspondence far beyond Latrobe. 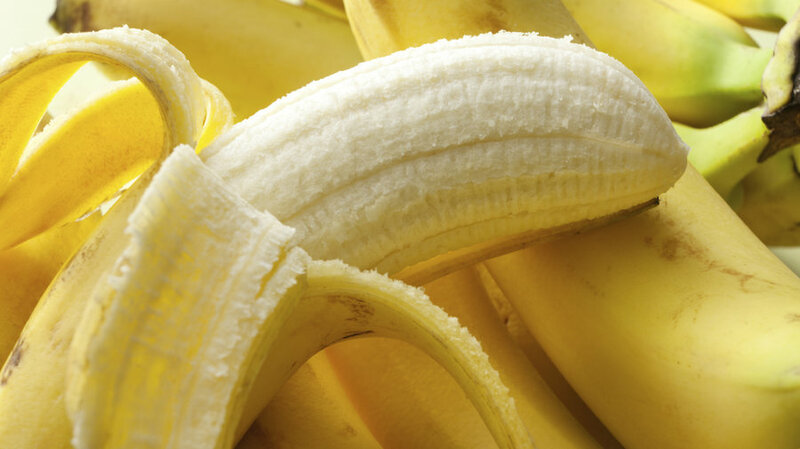 A popular recipe published in 1907 called for a lengthwise split banana, two scoops of ice cream at each end and a spoon of whipped cream in between with a maraschino cherry on a top. One end was covered with chopped mixed nuts and the other with chopped mixed fruits. 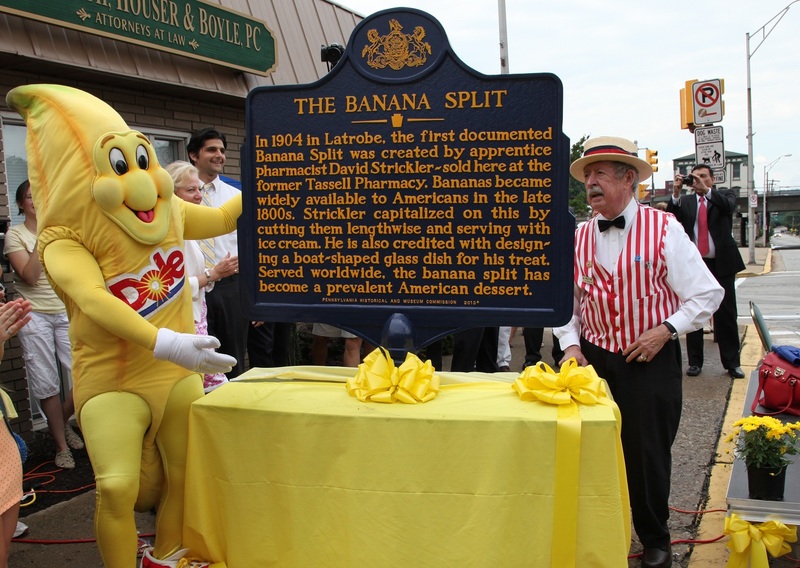 The city of Latrobe celebrated the 100th anniversary of the invention of the banana split in 2004 and, in the same year, the National Ice Cream Retailers Association (NICRA) certified the city as its birthplace. 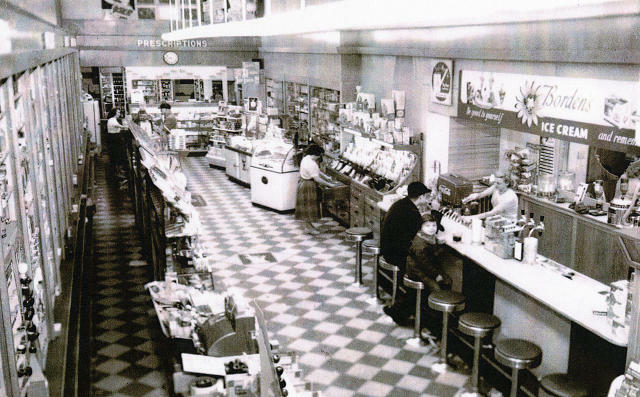 It is now the location of an annual Great American Banana Split Celebration and of the original soda fountain where the first banana split was made. The Great American Banana Split Celebration is held throughout the downtown Latrobe area in late August with food, fun and events for kids and adults to enjoy. Shortly after its invention by Strickler, a Boston ice cream entrepreneur came up with the same sundae, with one (minor) flaw — he served his banana splits with the bananas unpeeled until he discovered that people preferred them peeled. I’d say the guy might have needed an IQ test. Wilmington, Ohio also claims an early connexion. In 1907, restaurant owner Ernest Hazard wanted to attract students from Wilmington College during the slow days of winter. He staged an employee contest to come up with a new ice cream dish. When none of his workers were up to the task, he split a banana lengthwise, threw it into an elongated dish and created his own dessert. The town commemorates the event each June with its own Banana Split Festival. Walgreens is credited with spreading the popularity of the banana split. 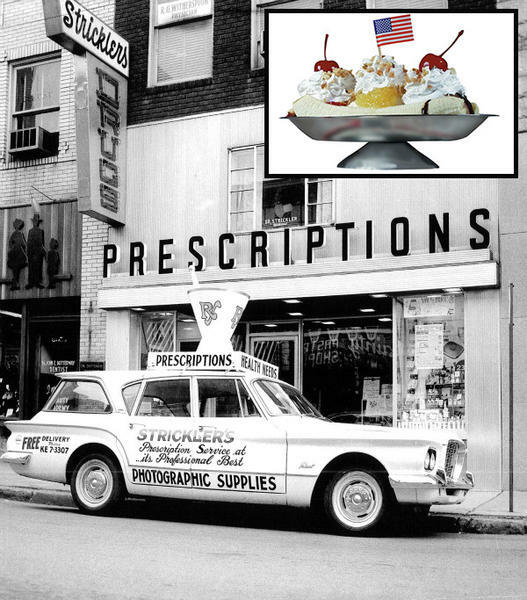 The early drug stores operated by Charles Rudolph Walgreen in the Chicago area adopted the banana split as a signature dessert. Fountains in the stores proved to be drawing cards, attracting customers who might otherwise have been just as satisfied having their prescriptions filled at some other drug store in the neighborhood. 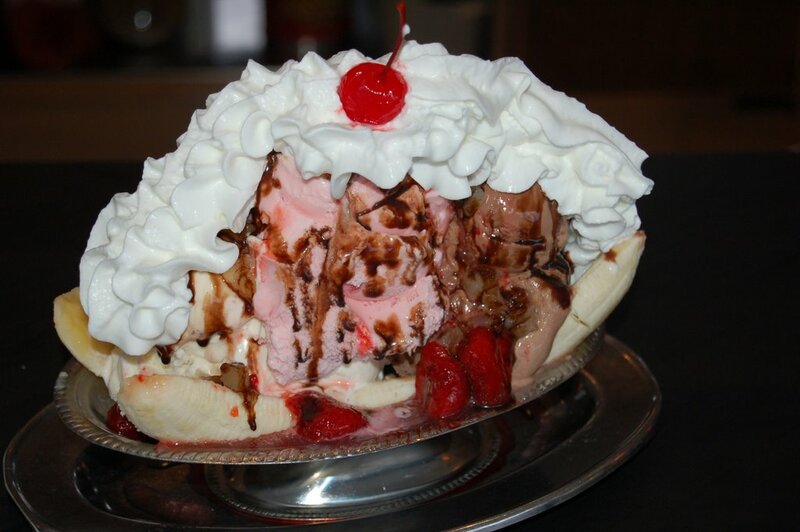 I am not sure if it is the original form, but for the classic banana split you cut a banana in half lengthwise and place it in a long dish called a “boat.” Then add three scoops of ice cream, vanilla, chocolate and strawberry in a row between the split banana. In no particular order spoon pineapple, strawberry and chocolate sauces over the ice creams. Top with whipped cream, garnished with chopped nuts, and finish with a maraschino cherry on the top. I took my son to Latrobe to get his first banana split for his 9th birthday. Actually, horrible father that I am, I took him out of school for the day and ended up spending three days on the road visiting geological sites, historic factories, and an ecological park. Two years later I took him out of school completely and home schooled him until he went off to university. That way, when we were studying the US Civil War I could stick him in the car and tour famous battle sites, and when we studied geology we went to glaciated areas, descended a coal mine, and collected a ton of rocks. We also applied physics, chemistry, biology, and mathematics to cooking, of course. 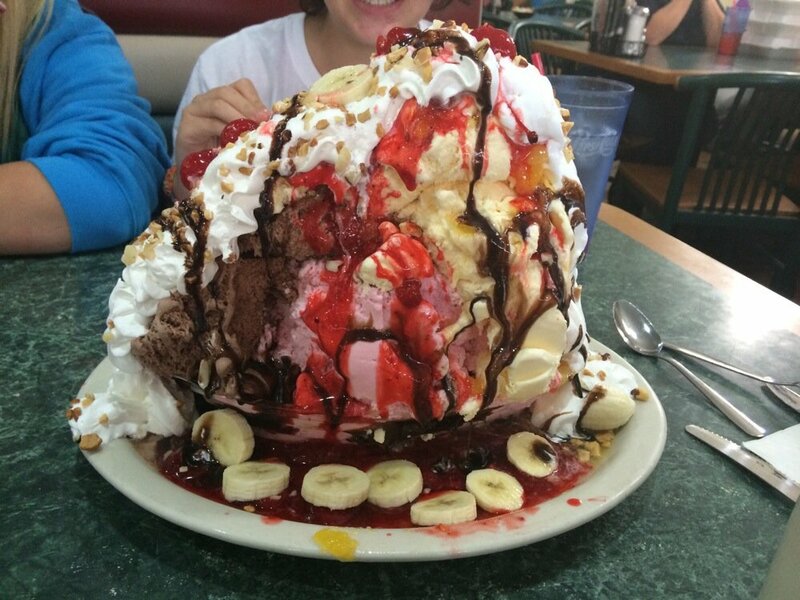 My son’s first ever banana split was his own creation because the store let him pick what he wanted – flavors of ice cream, sauces, and garnishes. Only the banana and the whipped cream were obligatory. Oh, and the cherry. So it’s cook’s choice again today. Just remember to be fabulous.